Let us gather to detox and reboot our mental and emotional health as we join in dance and song to honor our bodies. Matriarchal cultures understood the power of gathering monthly to connect with the life force within. Whether you are bleeding or in menopause, we will access the wise inner healer for reflection and clearing. We will follow with a celebration of our Feminine ‘Superpowers’, mirroring the magic that each woman holds. This month, the Red Tent welcomes moon dancer, Amy Walker, who will be co-faciliating. Amy is an actress, singer, and inspirational/spiritual speaker. Trained and adopted into Nakota medicine ways, she cultivated moon dancing in Teotihuanàn, Mexico, and is a Kriya Yogi. Weaving many practices and teachings, she playfully guides others into their deepest, authentic self, in order to more fully express the divinity that we all are. Red adornments and dress will enhance your experience. Bring red luscious fruits, red rose petals, red roses and/or fresh flower bouquets to co-create sacred temple space for us to bathe in the high frequencies of beauty together. Also, important to bring your favorite crystal that calls to your womb and feminine energy for the event and any special altar items to decorate, along with your journal to jot down inspirations and visions. Wowza Performing Artist of Sacred Theatre. Isn’t it time we reclaimed our Feminine power? Do you have a relationship with your cycle, your moon time? Ashamed? Cursed? Tolerating? Empowered? Want to create a shift and discover her secrets, true power, and hidden blessings of our moon cycle? Yes, even menopausal women are cycling. We will be joined this month by special guest Stasha Washburn. Stasha is known as The Period Coach. Her life goal: End the Taboo around Menstruation. At this Red Tent she will be sharing all about our Powerful Periods. We’ll create our own charts using Stasha’s Signature Charting Mandala: Enter The Red Circle and learn how to develop a beautiful relationship with our feminine cycle. We will kick off the evening with red ritual play, led by amazing Wowza, the poster child for ageless vitality at 80 years young. When the winds blow wildly, and the sea gets stormy, whales have an instinctual tracking system that enables them to follow the vibration of each other and not get lost. As they rise out of the ocean, and crash back against the waves, this innate system of breaching keeps them connected. Like the powerful instincts of whales, our Red Tent Temple is an important way women find to swim together, to send out vibrations, and share our stories so no one gets lost. Thank you to Sue Monk Kidd whose writings inspire us to keep our bearings and send out our own unique vibrations. What is alive in you? What is hurting? What are you celebrating? There is a lineage of ancient and contemporary wisdom & power that encircles you. Discover how the pulse and potency of the sisterhood supports you. What are you clearing, letting go? What seeds are you planting this new moon? To Awaken the powers within to navigate these uncertain times. To Release what does not serve. rooted in Mother Earth and our sisterhood. To Shine our Light! As shining more Brightly is one path for Peace on the planet. It is the Code of the Sisterhood to see the BEST in each other. We gather where we are a Safe space to speak our Truth; Safe to be vulnerable, Safe to Shine. As we Shine, we Inspire. And so the cycle goes. 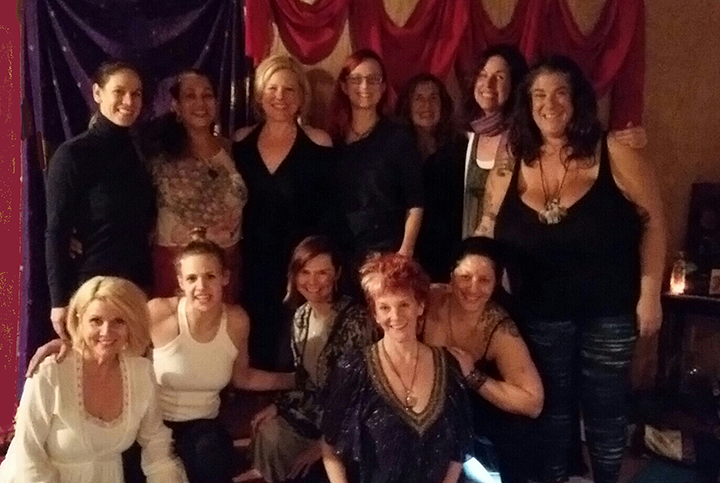 We gather once again to deepen our support for ourselves, our sisters, and our sacred spheres of influence. As you Open the Door, you will walk through leaving refreshed, enlivened, supported and connected! We will be joined with special guest and co-host, poet and performer, Karen Hery. She hails to us from the West Coast Poetry Tour http://westcoastpoetrytour.weebly.com/ as an ambassador for the EcoSexuality movement. © 2018 Red Tent Los Angeles. All Rights Reserved.